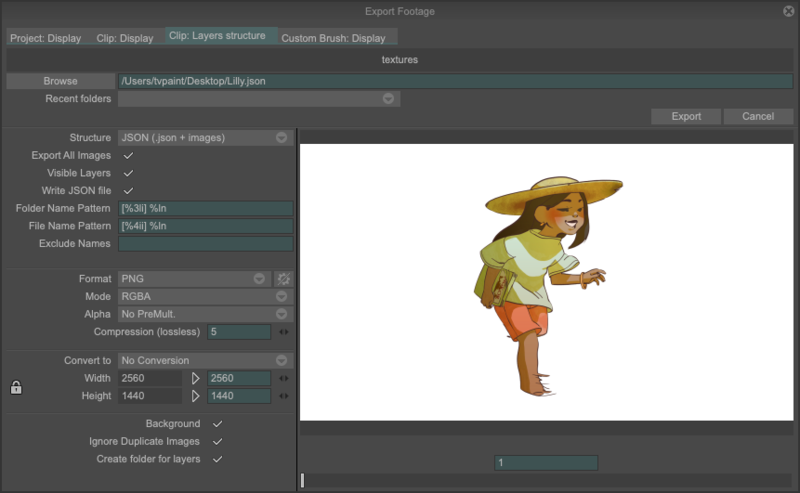 You can use JSON to export your animation project from TVPaint Animation to After Effects. 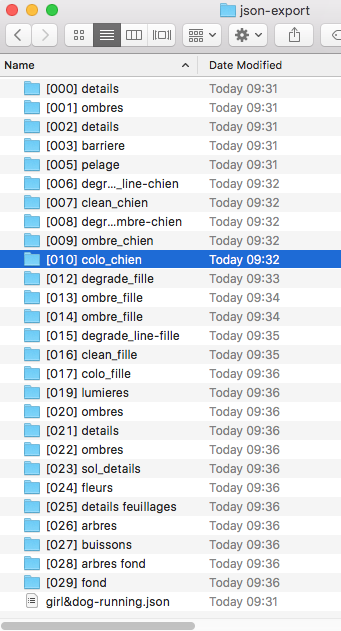 This type of export allows you to keep your project the way it was in TVPaint Animation, with all the layers, and to keep working on it in After Effects. 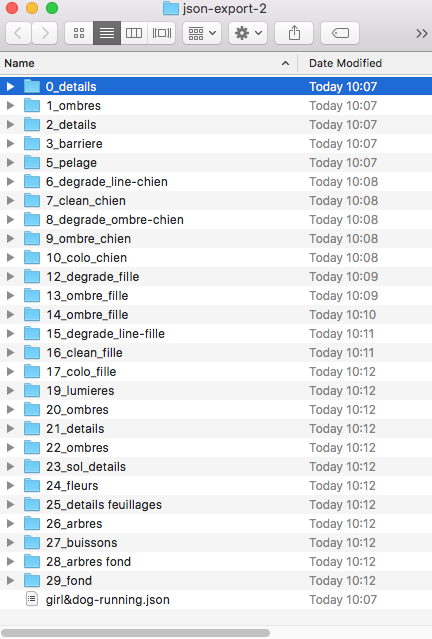 Click on File > Export to… which will open the export window. The JSON export will be found in the tab Clip : Layers structure > Structure drop down menu > JSON (.json + images). Visible Layers : if you check this option, only the layers that are activated visible in your TVPaint Animation project will be exported. 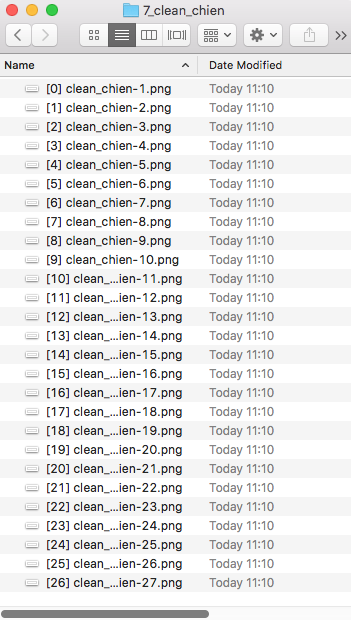 If it is not checked, all the layers will be exported. Exclude Names : sets the instances names which won’t be exported. If you want to exclude multiple names, separate them with [;]. Format : you can select the format of your images for the exported footage. You will get different types of options depending on the format you choose. Background : if this option is checked, the background will be exported in every instance. Once you launched After Effects, you need to fetch the script allowing you to import your sequence. Go to File > Scripts > Run Script File. In the window that appears, choose AfterEffects Import TVPaint JSON.jsx script. The script is located in the installation folder of TVPaint Animation 11. The script generates an Import TVPaint window where you can change the settings of the import. You can choose to import or not the camera, if there is a camera in your project. If you check Import Camera, there are two other options you need to choose from : As Key values and As Raw values. As Key values: imports the camera with its different movement keys in the timeline. As Raw values: imports the camera without the keys, creating one key for each image, making the timing of the camera no longer editable. Layer Colors and Blending Modes import all the colors and blending modes of your layers. Time Remap finds the timings of your animations and allows you to get the same display of your sequence in After Effects. If the option is not checked, only the images are imported. Pre/Post Behaviours imports the behaviours you set in your different layers. After Effects doesn’t have the same variety of pre/post behaviours. Depending on your choices of behaviours, you might have odd results in the import. Sequence Sorting for Time Remap: you can choose to import the names of your images in the timeline (useful mostly in Japanese animation). Index imports the default name of your images and Name imports the name you gave your images. 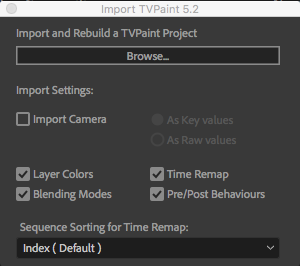 If you choose to import the names for the Time Remap, the images will be generated in the same order in the timeline than in the TVPaint project. But they will keep their names and will be sorted accordingly in the composition sequences. The names are sorted first by numbers (0-9), then letters (A-Z), and finally symbols. 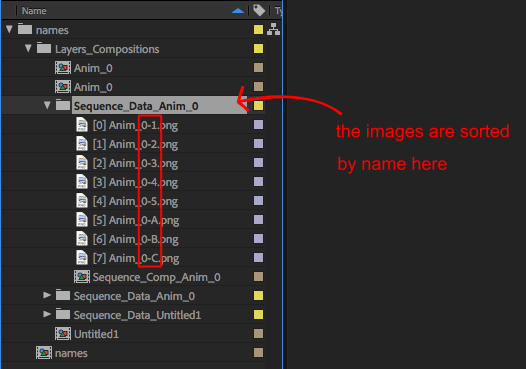 Those names are converted in numbers in After Effects and are sorted in numerical order. You can finally click on Browse and fetch the .json file in your project folder previously generated in the export. Your sequence is imported and you can edit it in After Effects.